Need air conditioning installation in Nerang? 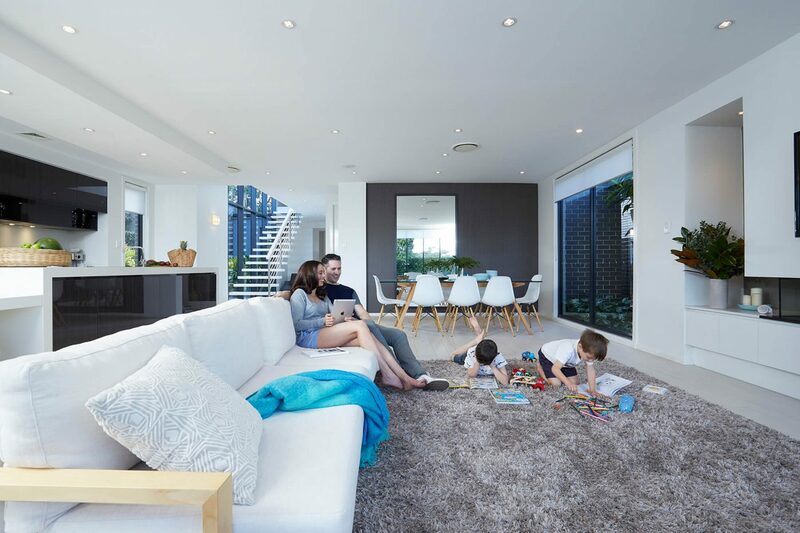 At Think Cooling, we offer premium quality, affordably priced Gold Coast air conditioning solutions that residents in Nerang, Pacific Pines, Carrara & surrounds absolutely love. As authorised dealers for top brands like Mitsubishi and Daikin, we have the best products and services for all your Nerang air conditioning needs. Nerang is an area with quite a buzz around it, which is why many property developers are keen to create the most appealing new residential and commercial builds possible. Finding a top air conditioning Nerang specialist is essential to get the best products and services. Why Choose Think Cooling for Nerang Air Conditioning? There are some technicians out there that like to make a job last. They will start an assessment and finish the installation over a few sessions. This can be stressful for property owners juggling a hectic schedule. That’s why our air conditioning Nerang technicians ensure that everything is perfect and ready to go on the first visit. They are quick and efficient, but also skilled and reliable enough to get things just right for your needs. They are also experienced with all kinds of air con products and promise service with a smile. There has been some talk of Carrara being primed for a surge in development – both in housing and infrastructure. This area was home to some the Commonwealth Games and there are plans for a theme park. Perhaps this is somewhere developers will be targeting with some attractive new builds? Elsewhere, Gilston and Pacific Pines have shown steady increases in population. Nerang more generally saw a rise of 3.7% in its population between the 2011 and 2016 censuses. It, therefore, remains densely populated, as suburbs go, with close to 17,000 residents during this last census count. Pacific Pines, meanwhile, has grown more steadily with a 13.3% rise and Gilston even more so at 69.7%. New apartment blocks and office spaces will always do well with a split system. These wall-mounted appliances are a cost-effective, space-saving way to handle the needs of smaller spaces. This is especially true in any space that has an open-plan arrangement. Therefore, new developments with modern designs in Carrara, or elsewhere near Nerang, may see the benefits of such a system. Then there are the ducted systems that can handle multiple rooms at the same time. There are some larger systems that can handle the needs of a family home or a commercial space with multiple office units. This is a great idea for developers looking to build family homes in Nerang, but also for homeowners looking to upgrade and cash in on the area’s newfound appeal. Areas like Nerang & Pacific Pines are primed and ready for some exciting new retail and commercial developments. These new units are also in need of the best possible air conditioning systems to handle the Gold Coast’s humid and hot climate. A ducted MyAir system could help homeowners create multiple temperature zones under one roof. This energy and cost-effective approach offers customisable settings per room. Therefore, different outlets can alter the air flow and temperature to their needs. Installation is no problem at all with the help of our professional team. Whether you have a development in one of these new housing estates, a retail park or a fancy new office space, you need a service you can depend upon. We have the team and the products to make sure that you can bring the best AC solutions to this new venture. Call us today to find out more about our options and pricing to secure a good deal. Alternatively, head to our contact page for more ways to contact us about different products and queries. We look forward to hearing from you and seeing how we can use the best air conditioning Nerang offers to help improve your new property.